Every two years we announce the submission guidelines for the new anthology. Alternatively, you can submit to the blog all year round. The theme of this anthology is centered around women of colour in our modern world. We are looking for stories of injustice, discrimination or triumphs---any experience that has impacted your life as a woman of colour. How does your identity affect your every day life? What does white privilege mean to you, and how have you experienced it? As women of colour, we often experience "double discrimination" in society. How has this impacted your experience with feminism? Do you have a family member or close friend who has been unfairly treated by the police, law enforcement or the criminal justice system as a whole? What about the work place? What does it mean to be a black woman in the corporate world? What about an Asian woman? For those of us in the UK, how has Brexit impacted your life? In the US, how has Trump impacted your life? We are experiencing a re-emergence of white supremacy and far-right nationalists groups in the West, especially in Europe---what does this mean for a woman of colour living in Poland, France or Sweden? And what about triumphs? How have you overcome stereotyping and racism? Do you have stories of #BlackGirlMagic, for example? Whatever your experience, RED INK welcomes your story. Black, Blue and Red All Over will showcase the lives and womenhood of women of colour. There will be a limit of 25 stories for this anthology. Stories that haven't been published will instead be posted on the blog with the author's permission. REDINK does not claim rights to your story. As long as it has been published with us first, you are free to submit elsewhere. These are not paid submissions, however all published authors receive a free custom edition of the anthology and an author spotlight on the website. The deadline for submissions has been extended to an ongoing deadline. An official deadline will be announced in Winter 2018. 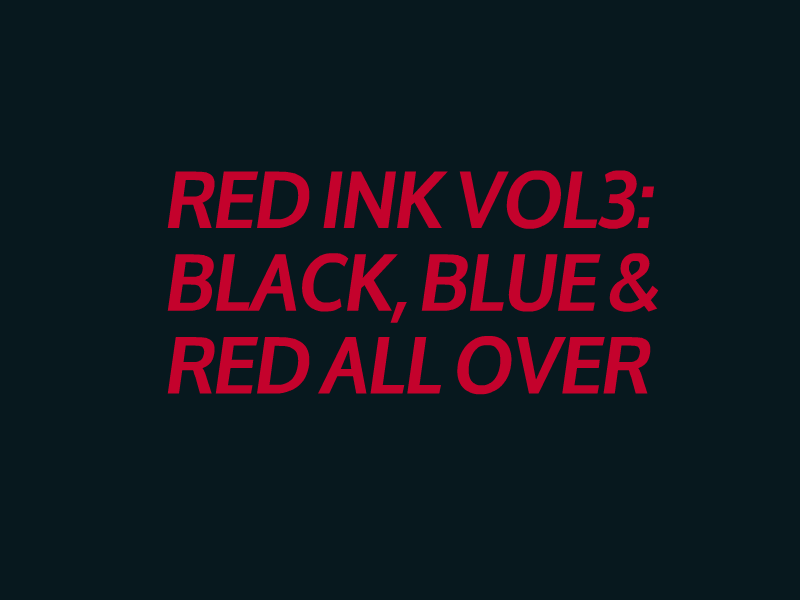 Send all submissions in word format to blog.redink@hotmail.com with the blog title in the email title space, and an author biography in the email (200 words max.). The email should also contain a summary of the submission. You can also include a photo or selfie if you wish (jpeg).